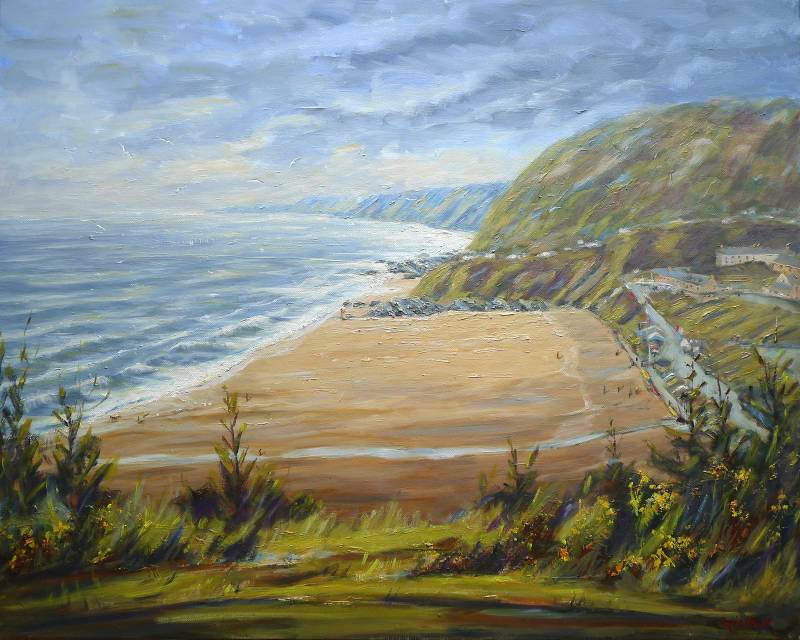 This painting of Tresaith in West Wales is the view looking northward, taking in the beautiful beach and picturesque Welsh village. One of my favourite Ceredigion beaches, Tresaith is on the Wales Coast Path and we spent a lot of time here whilst growing up. 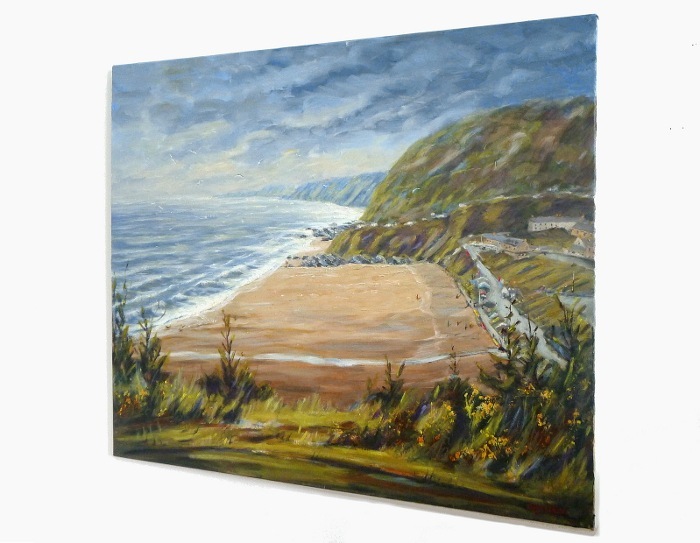 Oil on canvas: 30" by 24"
Painted on Loxley Gold stretched canvas, 30 inch x 24 inch x 1/3 inch - This painting can be framed, or hung un-framed as shown.